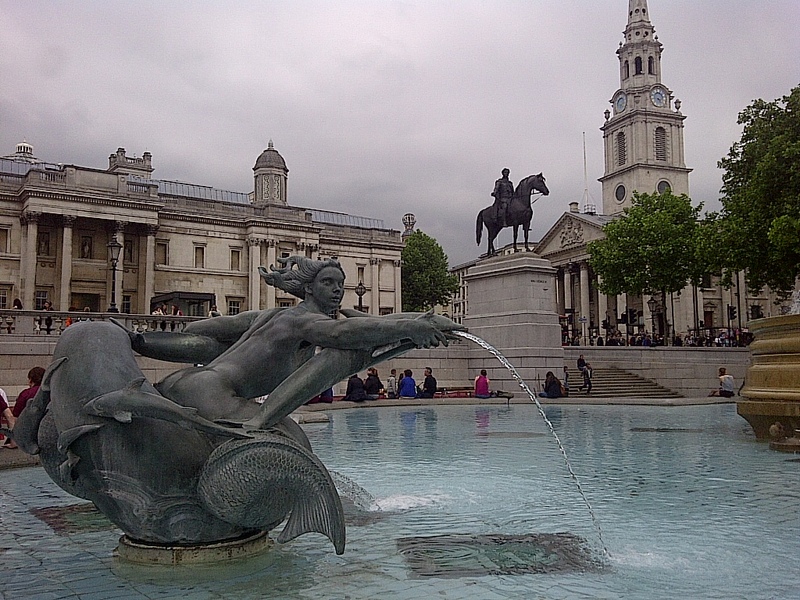 The reflecting pool and the spire of the St. Martins in the Fields Church on Trafalgar Square. London, England. June 18, 2013. On the ENGLAND, SCOTLAND & WALES tour.